What you see in the photo above is the result of a bit of playfulness. Or silliness. 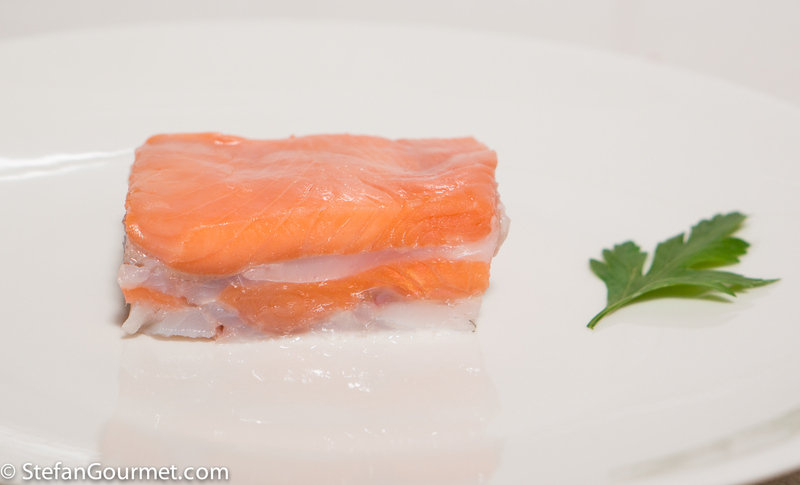 It is salmon and sea bass, glued together, and then cooked sous-vide as if it is some kind of mutant fish with layers of orange-pink and white flesh. This is possible by using a (perfectly natural and harmless) enzyme called transglutaminase, also known as Activa (the brand name) or simply “meat glue”. It can glue together all kinds of protein. 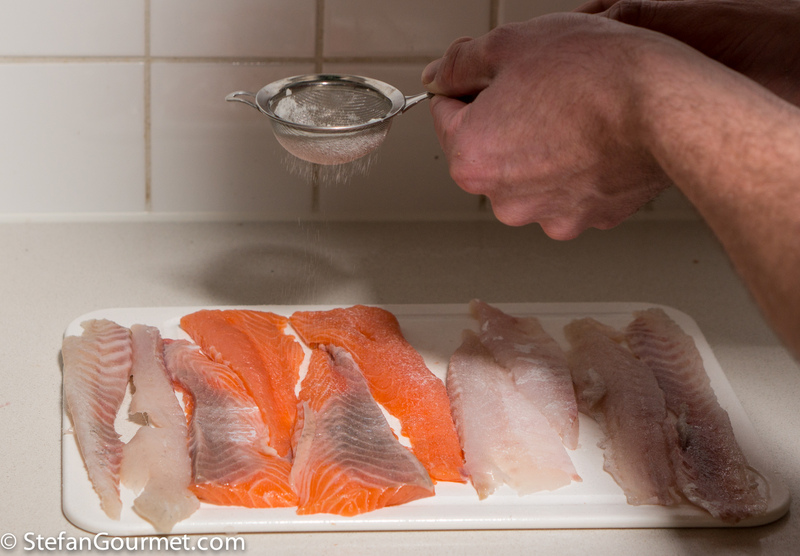 I’ve used it for both meat and fish before, but not yet to glue two different kinds of meat or fish. 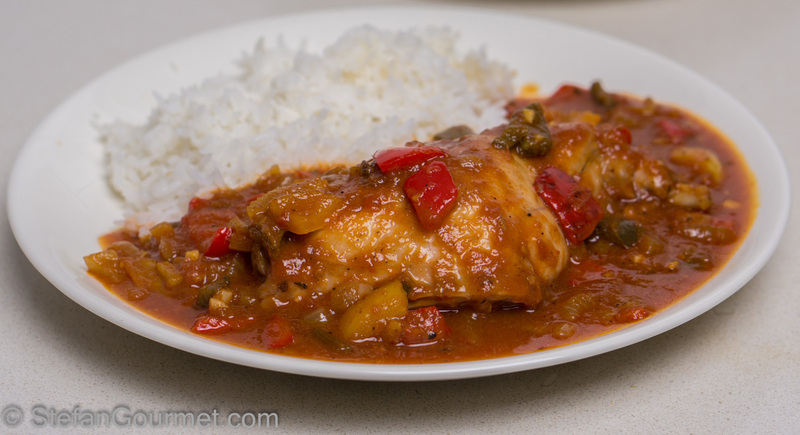 I thought it would be fun to try this with fish, but first I had to think of two different kinds of fish that can be cooked at approximately the same temperature. And so I came up with salmon and sea bass, and a temperature of 48C/118F. 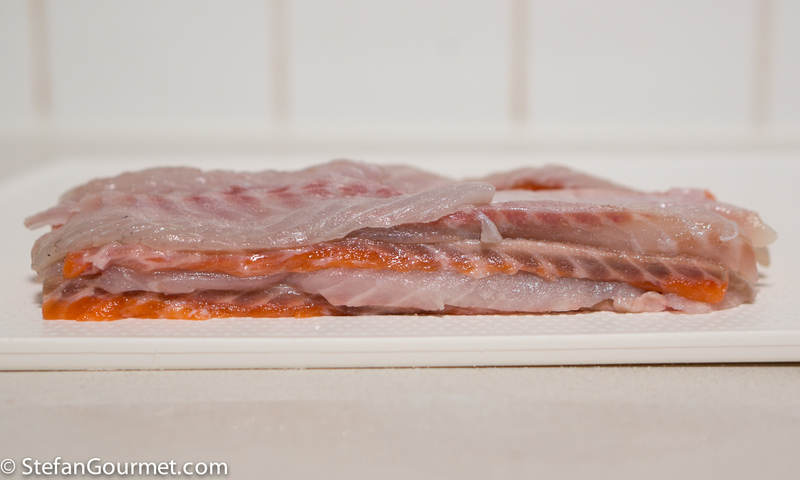 …which I cut into thinner slices. …and vacuum sealed. 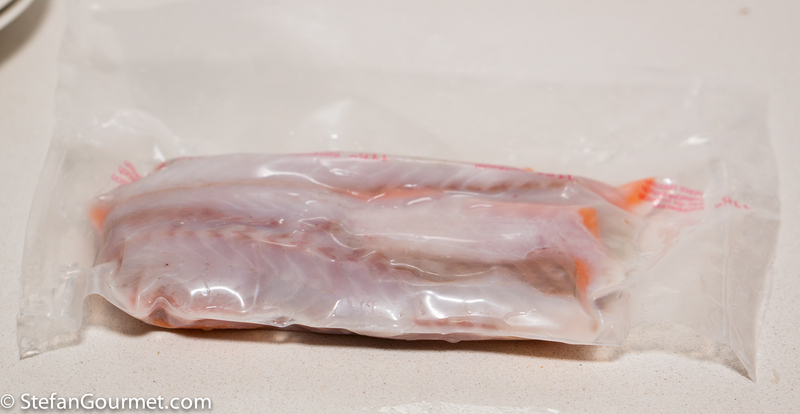 I then refrigerated the fish to allow the transglutaminase to do its job, although just the cooking time may have been enough as the enzyme works much faster at 48C/118F than at refrigerator temperatures. Then I cooked it sous-vide for half an hour at 48C/118F. To finish I trimmed the edges to get a nice rectangular shape. The result looked intriguing, and it tasted just fine. The texture was quite firm, which I think was caused because the alternating layers of fish created some additional structure to the flesh. With some more effort and better knife skills, you could make this look even better, but in terms of taste I prefer salmon or sea bass by itself. This cajun rabbit is very tasty indeed. Ciao Bea, your English is fine. 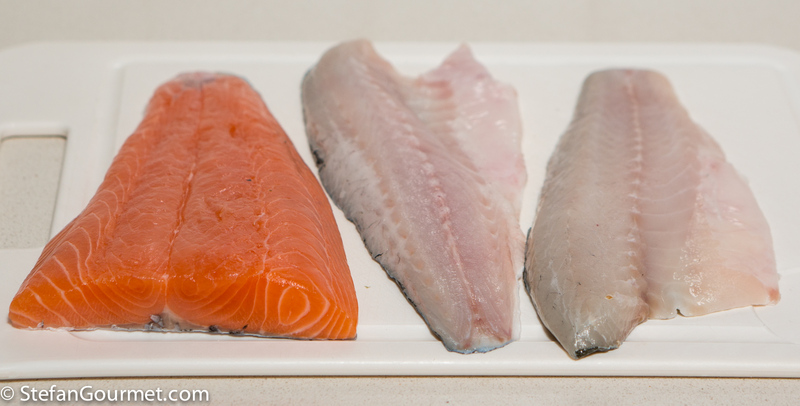 The problem with wild salmon is that I can only get it frozen, never fresh, which means that it will be dry. That is why I prefer to use farmed salmon. Most of the beef I use is organic. Conor will be pleased you think the best comes from Ireland. Just be careful and properly consider where the farmed salmon that you buy comes from. You didn’t season it or quick pan fry it after? This does have the beginnings of a creative appetizer of sorts! I just seasoned it with salt, as I wanted to taste the combination. You’re right it with some work it could become a nice appetizer. Transglutaminase is fun to play with. I used it to make beef rouladen without strings or toothpicks to hold it together.